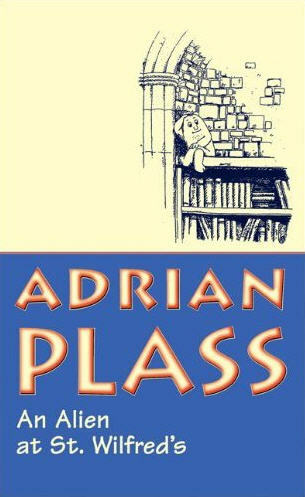 This is my favorite Adrian Plass. There is less direct humor, and more serious reflection than other stories. It is the story of David Persimmon, a clergyman in The Church of England. He is a sad pastor. An alien appears to him in the church. He is small, white and speaks in perfect Book of Prayer English. The Alien says he has come to visit and learn for a while. He has chosen the name Nunc Dumuttus. The alien believes he is where he is supposed to be and that he is to meet with David and some of his friends. The story is moving and touching as the Alien opens up each person to their own inner hurt and teaches them how to be healed and in part how to learn to heal others. Miranda Merchant is in for a big surprise this summer. She is joining her mother, prim and proper Dr. Merchant, on Selkie Island. She is going there to help her mother clean out the summer house she inherited from her estranged mother. On the way to the island by ferry she is warned by an old sea dog to be cautious of who she meets on the island. Her life is about to change in ways she never imagined, having gone to a Science Prep School back in New York City. On the Island she starts to learn about her mother's past, as a southern belle who vacationed on this island year after year. She also meets some of her mother's friends from her youth. Miranda is also trying to get away from her past to some extent. Her ex-boyfriend and ex-best friend are both people she is trying to push from her mind. Here she meets other summer people, and daughters of her mother's friends - southern belles who pick dibs on who they will hook up with for the summer. 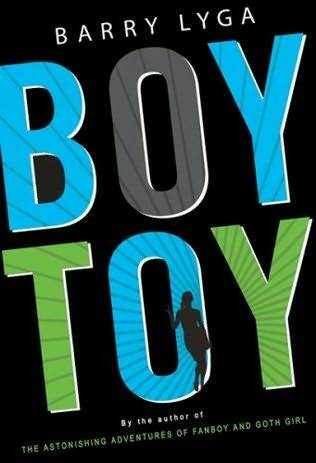 But she also meets a strange island boy Leo, who seems different but in a good way, and maybe in a dangerous way. Good girl Miranda starts taking chances and risks she would not have done at home. I picked up this book because I loved This Totally Bites - Poison Apple Book 2, written by Aimee under the pseudonym Ruth Ames. The cover of the book also attracted my attention. The mix of legends and myths, and a bit of mystery in a coming of age story, is wonderfully done. Aimee Friedman has written a wonderful story about love, falling in love, loss and grief and combines it all in a cohesive whole. 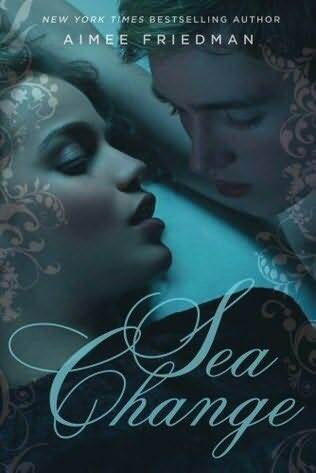 It is a great story and we can only hope that we will encounter Miranda and the mythology of Selkie Island again. "Say you do something really good - like save a girl's life. And everybody thinks you're a hero. But the whole reason you were there, at the right place to save her, is totally messed up. Then let's say you stand up for something you believe in, but everybody else thinks you're wrong. And now they all hate you. 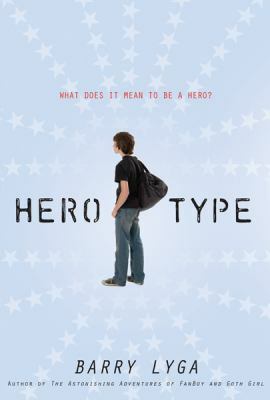 How do you know if you're a hero or a zero? * Please provide evidence that you did the above (links will do). 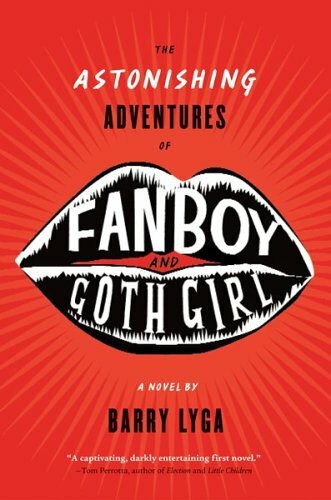 Also check out Goth Girl Follies and other books by Barry Lyga. 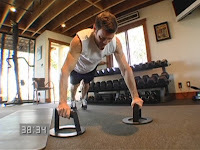 This is another of the One on One workouts that will be great for the road or while travelling. It runs 46 minutes with warm-up and cool-down. 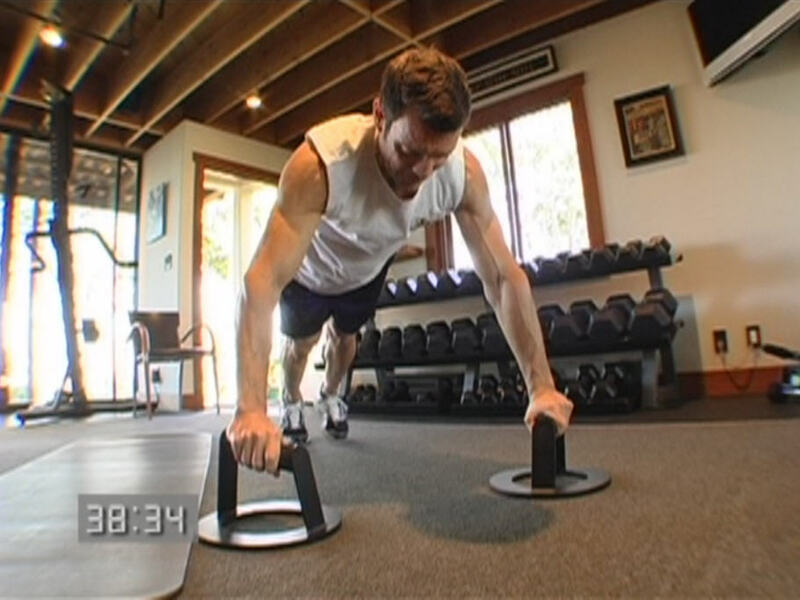 You need a jump rope (or fake it), and push-up stands/power stands if you have them. 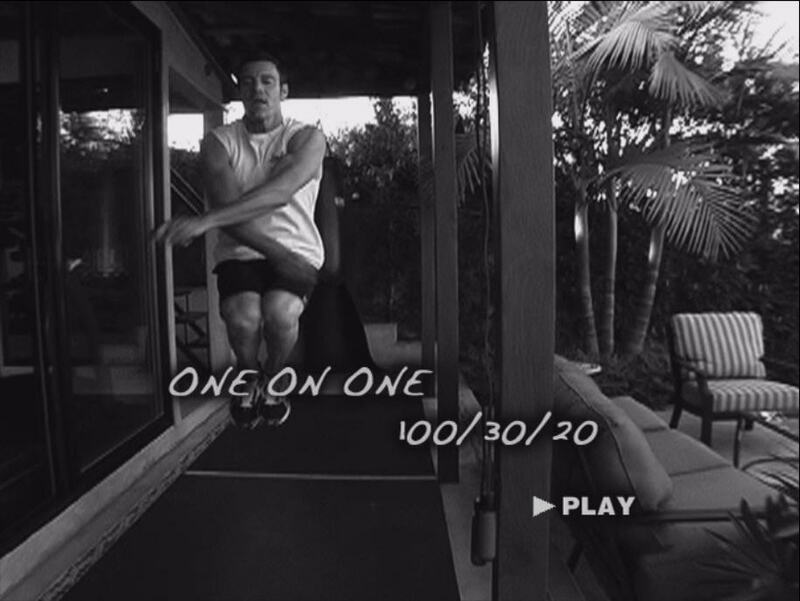 The title of the disk tells it all; you do a series of 100 skips, 30 crunches, 20 push ups. Then repeat each set. Tony does different push ups and crunches. He also shows a little variety with the jump rope. This is not a workout I see myself doing often, but like I said at the beginning, do see it as a great workout for the road when travelling. And I will throw it in from time to time for a change. I first read this book a few years ago. I asked a friend, a manager of a bookstore what her favourite books or authors were to expand upon my reading list. 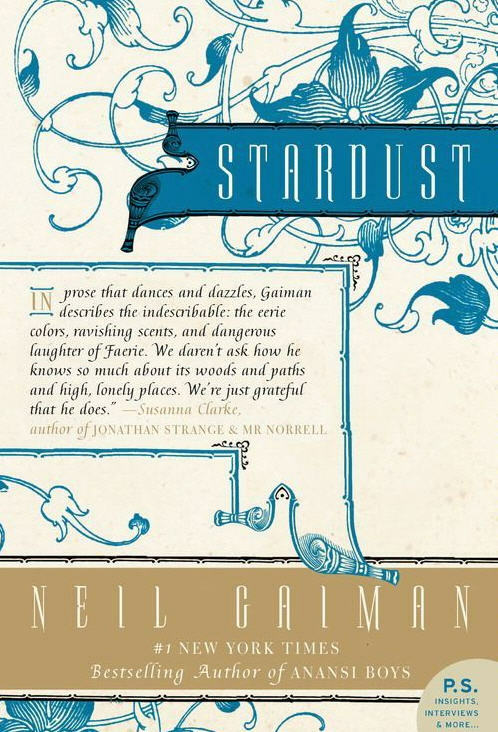 She recommended Stardust and Neverwhere, both by Neil Gaiman. Both became quick favourites though very different and both left a lasting impression on me. Stardust is the story of Tristan Thorne, who is unaware of his true heritage at the beginning of the book. It is the story of his adventures in the land of Faerie; he was raised in a town near the wall that separates Faerie from England. 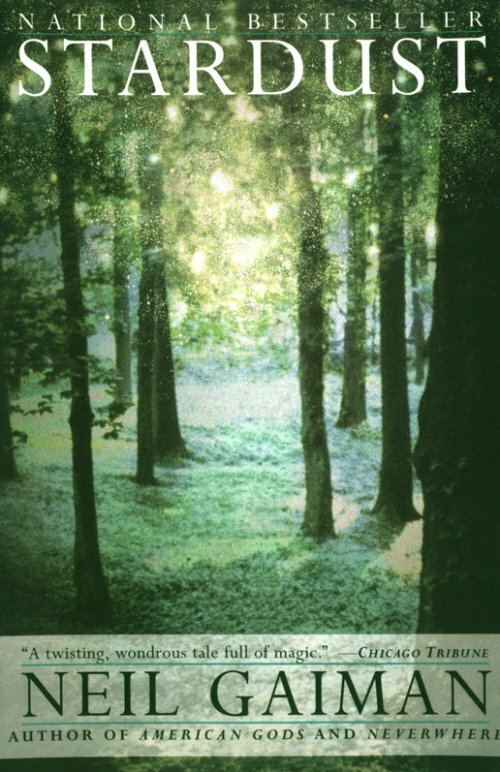 Tristan sets out to retrieve a fallen star from Faerie so the woman he loves will marry him. Whilst there he discovers the star is really a sentient being, Yvaine, and during their adventures together he is changed. 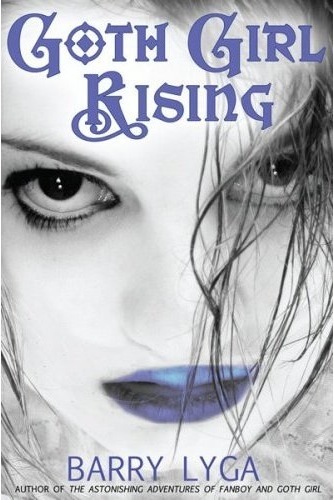 During his time in Faerie he discovers truths about himself and he finds that his goals and aspirations have changed. The book is full of wonder and adventure. It is an excellent read, for Gaimen mixes fantasy, adventure and a grisly reality into a high adventure story. This book is the seventh in a unique series that was to run 10 books. 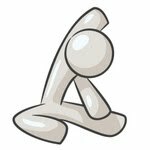 Originally it was to be 10 books by 7 authors in a single continuous story arch, with online games, and clue hunts and more, at the 39 Clues website. Each book now seems to be getting better than the one before, and also leaves you hungry for the next instalment. Scholastic has also now announced an 11th volume, The Black Book of Buried Secrets, which will be out shortly after book 10. 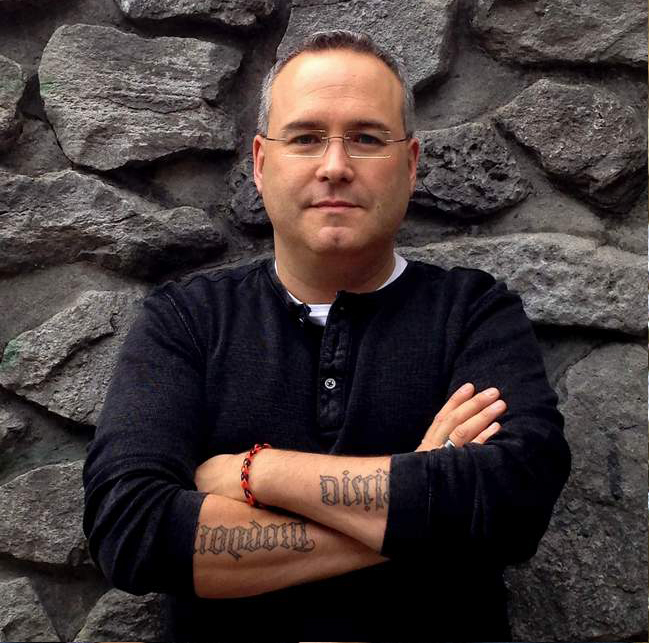 Peter Lerangis has written a wonderful piece pivotal to the story arc. 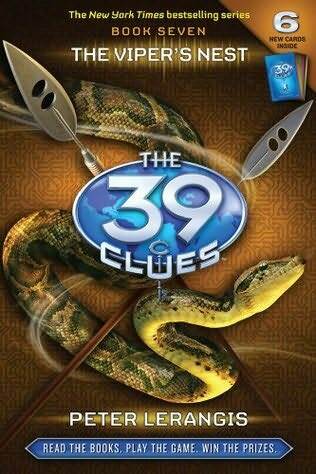 Amy and Dan Cahill are still up to their neck in the hunt for the 39 clues. They are learning to trust again. 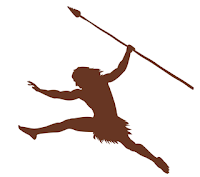 This time they are in South Africa, and the historical figures explored included Winston Churchill and Shaka and they also find out more about their grandmother Grace, and their parents. Lerangis gives us a lot of real history in under 200 pages. 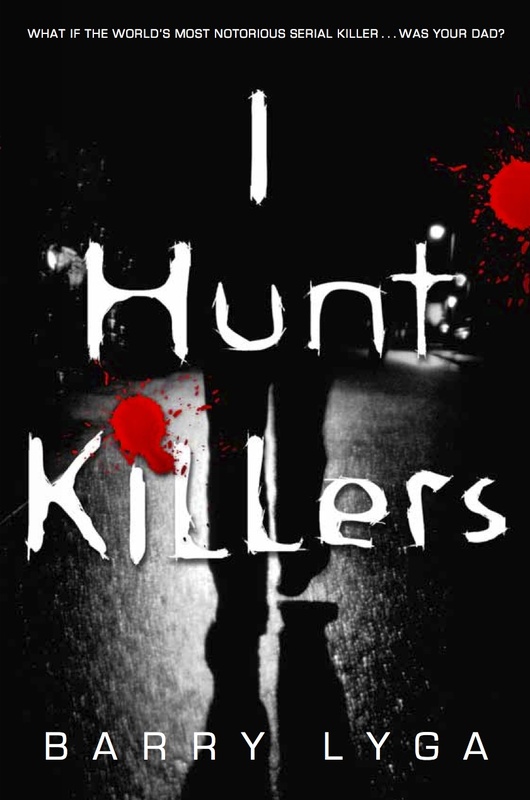 Once you start reading this book you will not want to put it down, even more so than some of the others in the series. The last few books had become very dark and though the race for the 39 clues is still on, and some factions are becoming more and more dangerous, Dan and Amy seem to be finding a better balance. This is another amazing book in an incredible series. 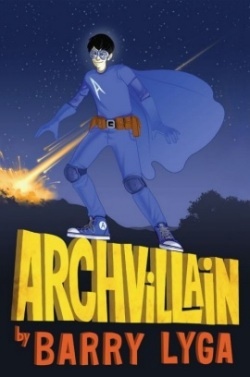 I will start off by saying that I absolutely love this series. When I read book one, 100 Cupboards, I thought it was an excellent story and that it could be the beginning of a great series. When I read book 2, Dandelion Fire, I thought it was an incredible story, Tolkienesk even, and yet it left we wanting more of Henry's story. 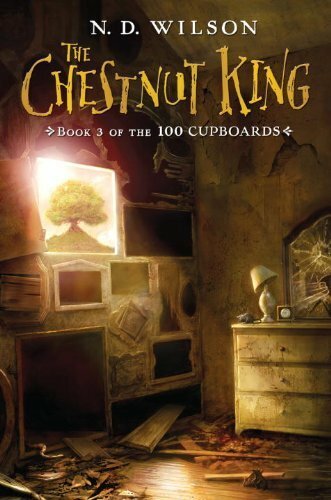 Book 3, The Chestnut King, blew away all my previous expectations. Very few authors in my opinion are worthy of being compared to C.S. Lewis, J.R.R. Tolkien or Madeleine L'Engle, and yet as I read this book I could not help but find myself comparing the author's style, and the substance of his writings to these three giants in literature. 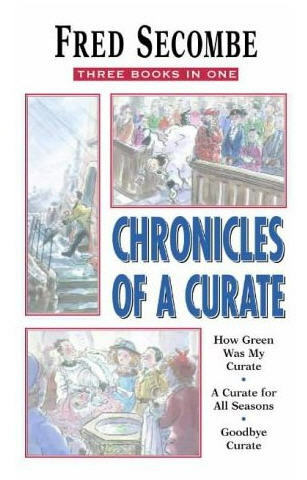 This story continues the adventures of Henry York Maccabee, a young boy about to turn 13, raised near Boston on our earth. While visiting family in Kansas he discovers 100 magic doors hidden in a wall. He also finds out that he is not from earth and that the person he thought was his Grandfather had brought him through one of the doors when he was young. He has released an ancient evil Nimiane from Endor, and she devours all life. 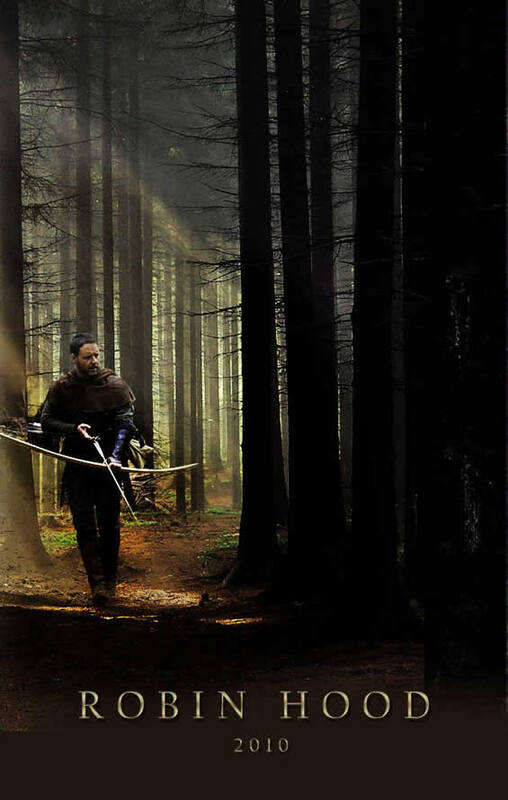 She is hunting Henry and wants to capture him before he comes into his power. He has been touched by her blood and its scar on his face is expanding. It is a bond between them. Henry's Father and Uncle are off searching for the dark witch when calamity befalls the family. They are taken by soldiers from a southern kingdom. The dark witch is trying to draw Mordecai, Henry's father, and Henry into a trap. 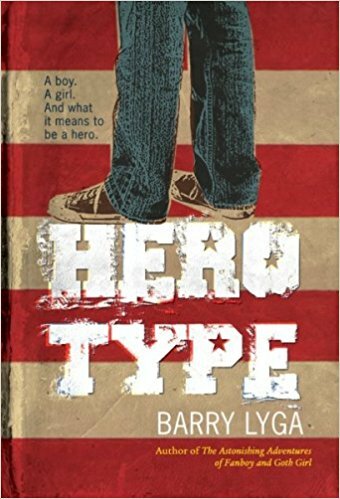 This specific story, and the whole trilogy, is told as a series of narratives telling different people's parts of the story. It reminds me of The Lord of The Rings Trilogy, which is told in 6 books each telling a part of the tale and going back and forth. This story does the same thing. Told from Henry's vantage point, his cousin Henrietta's, his father's and at times even the witch's, the story switches back and forth from different vantage points and most times there are gaps in the story. Some get filled in by others, some are left for you to fill in. Yet it works together as a cohesive whole. At nearly 500 pages this third volume is the longest and also the best written. The story is compelling and highly addictive. I read it in 3 sittings, not wanting to put it down either of the times I did, but life intruded upon my desired reading time. This is an excellent book by an author who is coming into his own. 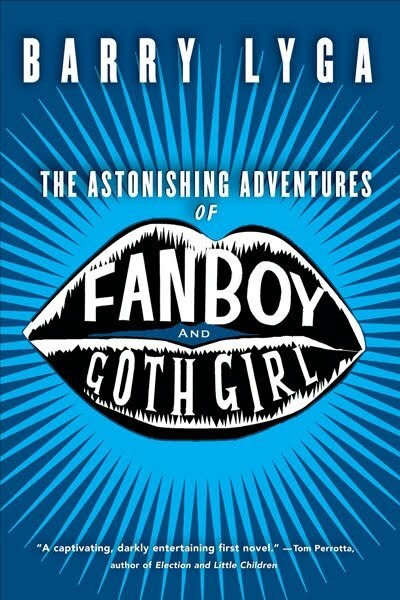 The story arc across the three novels proceeds well, and this particular volume is excellent. I look forward to future offerings from N.D. Wilson for if they are as good as this one, they will be greatly entertaining. This movie surprised me on a number of levels. 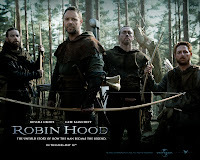 First and foremost was the new and unique interpretation of the Robin Hood tale, beginning with a very different portrayal of King Richard the Lionheart, down to Robin's heritage and rise to fame. 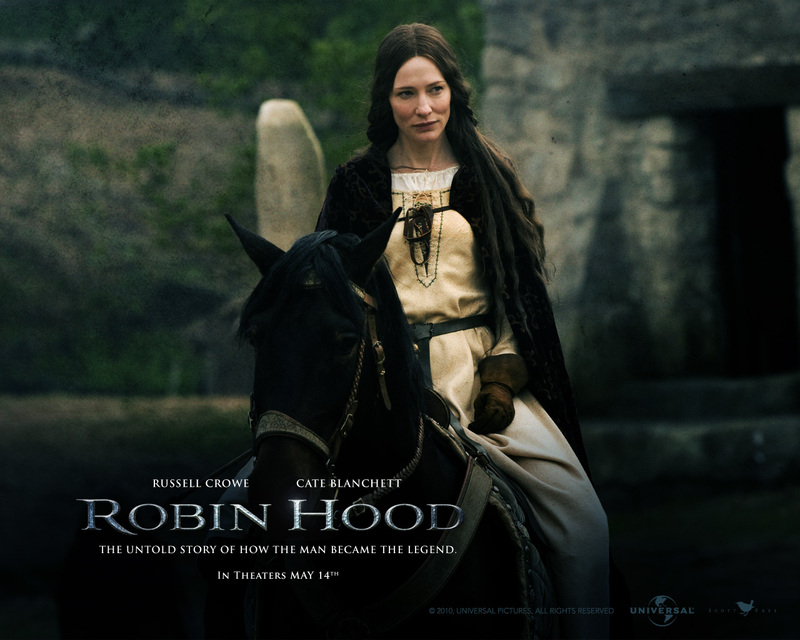 This movie is almost all back-story; it ends when most Robin Hood legends begin, with Robin becoming an outlaw. 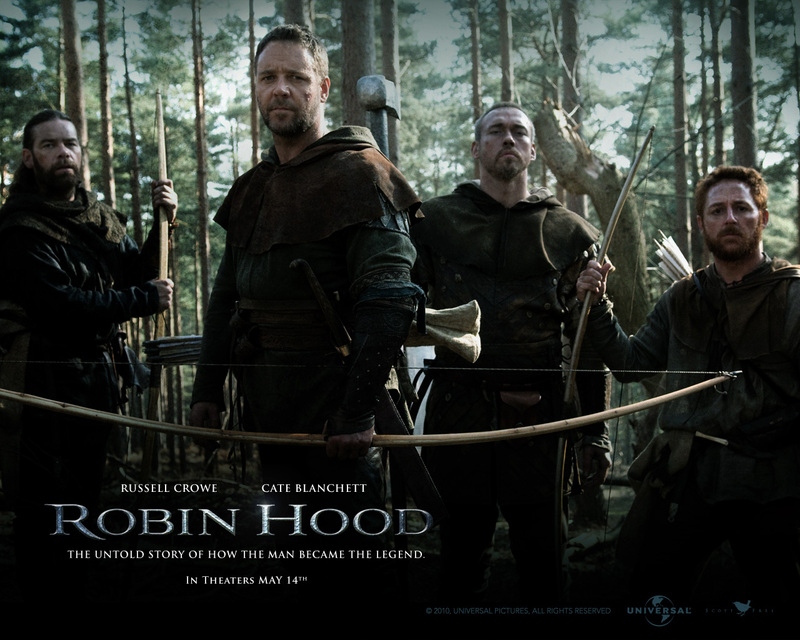 It is the story of an archer who travels back to England under an assumed name in order to survive. And yet in fulfilling an oath to a dying man he goes to Nottingham to return a sword. Robin soon learns the full story of his past and takes up a name and a responsibility for people around him that he had never shouldered before. He is a man of character and a man of integrity in a time when both are coming to be in short supply. 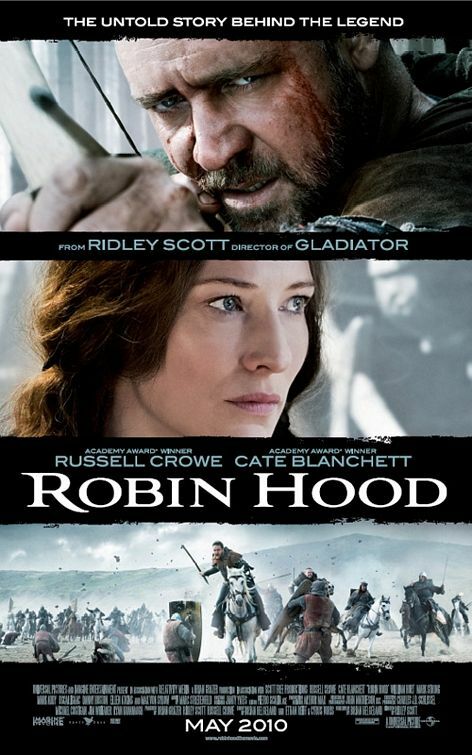 The movie, and Robin's own past, both focus around an inscription on a sword "Rise, and rise again. Until lambs become lions." Something about it triggers memories from Robin's youth. 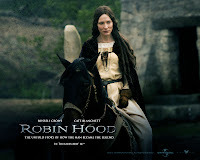 There is much to appreciate about this version of the Legend of Robin the Hood, and some that leave to be desired. First, the cinematography is stunning and incredibly well done. Director Ridley Scott uses imaginative transitions and cuts for battle scenes and overall visually the film is very well done. 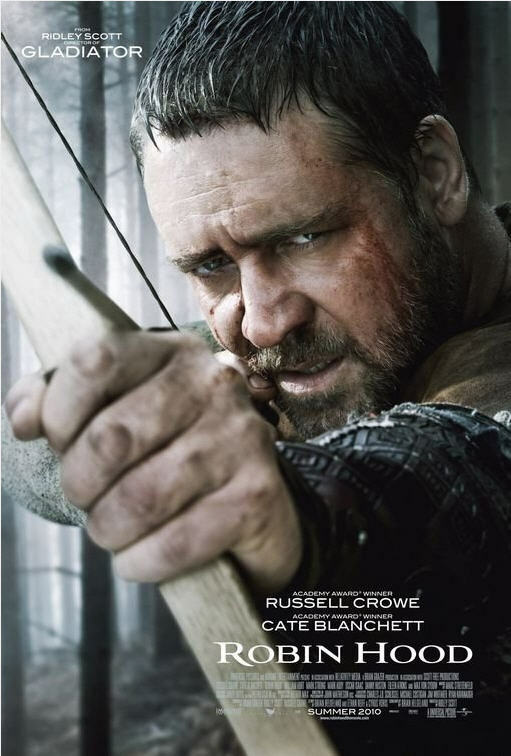 The action by Russel l Crowe and Cate Blanchett is strong and convincing. William Hurst as an older advisor and lord is a fitting cunning supporting role. Mark Strong as Godfrey, a wolf in sheep's clothing, plays an incredible villain. But what lets the movie down most is the orchestration, the score composed by Marc Strietenfeld. By about half way through the movie it sounds too similar to the Lord of the Rings scores, and at times too majestic for the action on screen. The score is the weakest part of the entire production. The other thing that makes this film rank a little lower for me is the fact that they leave it set up perfectly for a sequel or even a new franchise, and yet there is no indication of a follow-up film in the works. In conclusion, it is a good film, but it leaves you wanting to know the rest of the story. I love lists, I keep lists of what I watch, what I read, my workouts. Some of these are the lists and quotes I use to help me maintain balance between body, mind and spirit. Some I have been using for uears, some I am just learning about. 1. To get enough sleep. 2. To eat right & Exercise daily. 3. To refuse to be a perfectionist. 4. To carefully control finances. 5. To ask for help when needed. 6. To pray and read the Bible daily. 7. To not pressure self into planning entire life today. 1. Eat lots of plants and animals. 3. Move frequently at a slow pace. 5. Sprint once in a while. 8. Get plenty of sunlight. 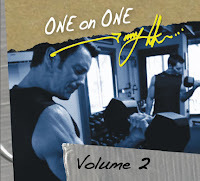 Robert Wolff former editor of Muscle & Fitness, stated in his book: "The one thing you can be absolutely sure of in your life is change. It's the only thing that never changes. The law of nature is that you either grow or you die; there's no in-between. So, what have you chosen so far?" To many extents this book is a manual on how to make change. First in the area of physical fitness and then to apply the discipline learned there to other areas of your life. It is definitely worth the time and effort! 1. I will do all things as unto the lord. 2. I will live in the light of the judgement seat of Christ. 3. I will consider my weaker brother in all I do. 4. I will do nothing unless I'm sure that it's right to do. 5. I will do all things to the glory of my God. 6. I will avoid what may appear wrong even if I know it's not. 7. I will abstain from things which culd enslave me. 8. I will seek always to do what I believe Jesus would do." 7. If other people can steal your ideal, most likely they will. 5. Being naive is business and understanding human nature is a recipe for disaster. 3. Enthusiasm is like a wonderful disease - keep spreading it until everyone's infected. 2. Only choose a goal that - if you had to - you'd gladly pursue for free. In order to achieve success, you've got to follow your passion. 1.Most Important: If it's not broken, break it. That's how new discoveries are made. That's why everything that changes life is called a breakthrough." p.186. 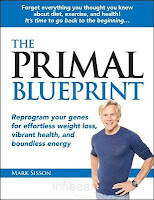 This book will help you have breakthroughs in your life. Those breakthroughs will be through a process of progressive changes in your life and lifestyle. I often get asked about my prolific reading and reviewing habits. This is my disclaimer. I read over 100 books each and every year. Reading is one of my favourite pastimes and I wish I did not need to sleep so I could read even more than I do. 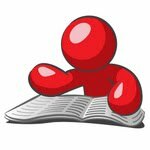 I have been publishing reviews in newspapers and magazines for over 5 years now, and have over 200 published reviews across seven different publications. I receive about two thirds of the books I read free, either from publishers, authors, marketing types or contests. It in no way affects my reviews. I am asked why I have so many positive reviews. I am blessed with a plethora of books to read, and if I am really not enjoying something it usually gets put aside. If I don't finish it within a year, I then give up on it. I once believed I had to finish every book I started. I have since come to the conclusion that life is too short to read bad books. However I freely admit, to loosely quote Robert A. Heinlien: 'One man's theology is another man's belly laugh.' My bad book might be your favourite. Thankfully, we can all find books we love if we read, read often and read deeply. Also, to authors and marketing types out there, do not contact reviewers and ask for a review or a book or product and offer to send a review copy. Then when you send the review copy include a letter that states: "Also, let me know the details as to method of payment, or a donation etc. Whatever you like. When and how I may expect the review, and if you enter your book reviews with online bookstores." If you want me to buy your book to review, send me info on the book and where to buy. Also, the other questions are information you should have before you send out the review copy. That being said, if I love a book, I will do everything I can to promote it. I post my reviews on Amazon.com, Amazon.ca, Amazon.co.uk and Chapters.ca. I will tweet about it, spread the word in forums and discussion online, and in person. If I do not like a book I usually do not finish it, and do not bother reviewing it unless it is so bad I feel I need to warn people, or if the author or publisher is really pushing for a review. So if you want an honest opinion and a fair review do not hesitate to contact me; if the book looks interesting I will give it a go. 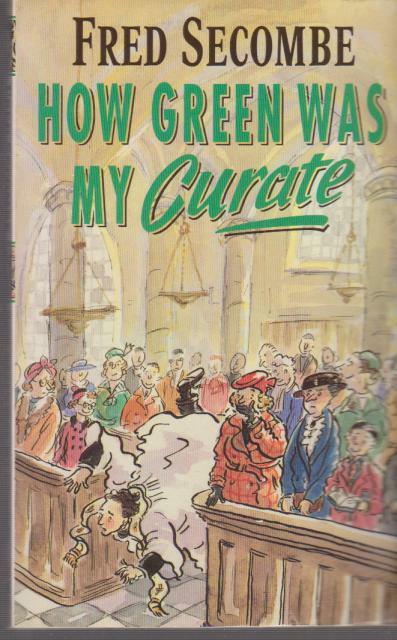 One of the funniest of Plass's books is this story which chronicles the church's attempt to put on a drama for a Christian Drama Festival. 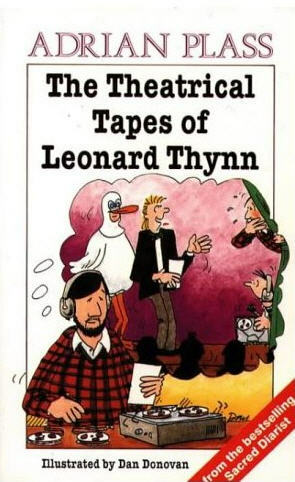 Leonard Thynn decides to record the meetings and rehearsals as an archive of the production. And production it does become. With his dry British whit and an abundance of slapstick humor, this book will entertain again and again. You will laugh out loud. I have read parts of about a dozen more. From all of them I have learned something. 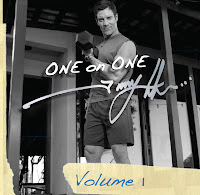 So I will be starting a new feature on my blog, Health and Fitness Fridays. 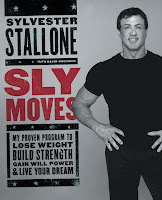 It will be selections from what I am reading, some recipes, and I will continue to comment on the changes I am making. If there is anything specific you would like to see, let me know and I can research it and prepare a piece. I am hoping this will be a weekly feature, or at least most weeks. All with the intention of helping me and maybe you find that balance between body, mind and spirit.